Last week it was announced in The Times newspaper that according to users of Ordnance Survey’s app mapping system, OS Maps, the busiest 1km2 grid square in Great Britain is the summit of Yr Wyddfa (Snowdon). At at peak times it certainly gets busy and from Crashpad Lodges you can see a colourful rainbow line of walkers making their way up to wales’ highest peak during the day. When the sunset walkers return back down you can witness the most wonderful lines of lights as the many head torches light the way down. And we agree and with Snowdon in the back garden of Crashpad Lodges there is no better base from which to marvel at her beauty and experience everything that she has to offer. 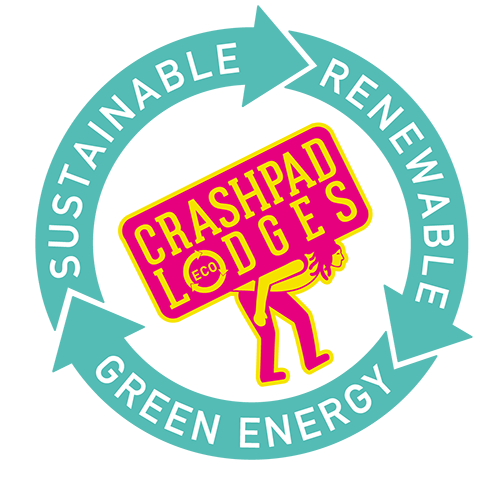 Below are Crashpad Lodges tips on how to make walking Snowdon a wonderful experience. Mountains are fickle things. What starts off as a sunny day at the bottom can rapidly turn into ice-cold winds, heavy rain and thick mist halfway up. Be prepared for drastic changes in the weather and make sure you check the forecast before you go via the Met Office Snowdon Summit forecast. If walking up solo, plan your route carefully and let people know where you are going, and what time you expect to be back. Before you leave check the opening times for Hafod Eryri, the café at the top which sells drinks, cakes and pasties but be sure to take your own supply of food and water for the walk with you. Always take more water than you think necessary and energy rich foods such as flapjacks, bananas and chocolate. Dogs are allowed to walk up Snowdon but they must be kept on a lead and remember a bowl to let your dog take a drink and waste bag for….you get the rest. 1. Ankle supporting walking boots, not trainers and definitely no flip flops. Comfortable walking socks. Look after your feet, they’ll be working hard! 5. Spare socks and a clean t-shirt. You’ll get sweaty! The route to the summit from Crashpad Lodges. If starting from Crashpad Lodges The Llanberis Path (9 miles/14.5 km) is a popular ‘first time’ path. It’s the longest route but provides a gradual climb up to the summit. Walk up the track and under the railway bridge and you can join The Llanberis path quite easily. If you would like to take a slightly more difficult walk turning left from Crashpad takes you to the horseshoe route onto the Rangers path which is a steeper albeit quieter route to Snowdon. Walking to Llanberis in 20 minutes you could also take the Snowdon Mountain train in you prefer. There are a few different routes to the summit with all taking between 6-8 hours to walk. For more information check out the visit wales website here. Paths up Snowdon in Order of Difficulty. The Snowdon Mountain Train is an amazing experience and allows those who are unable to walk or would find it difficult to reach the summit access to the wonderful views and amazing experience. Situated in the village of Llanberis, book in advance during peak seasons as it can be sold out quite quickly. Walking Yr Wyddfa (Snowdon) is a great day out, not only do many people experience a great sense of achievement, witness wonderful views but also meet people from many places who climb Snowdon for many different reasons.